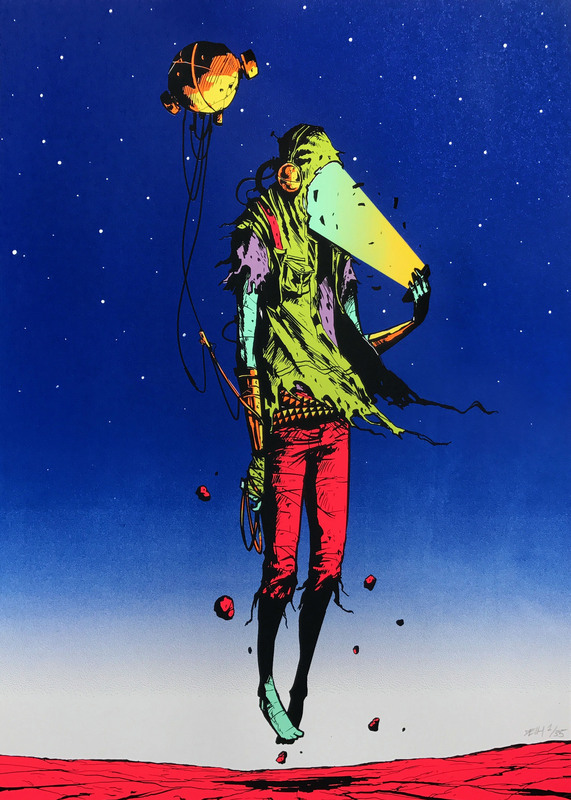 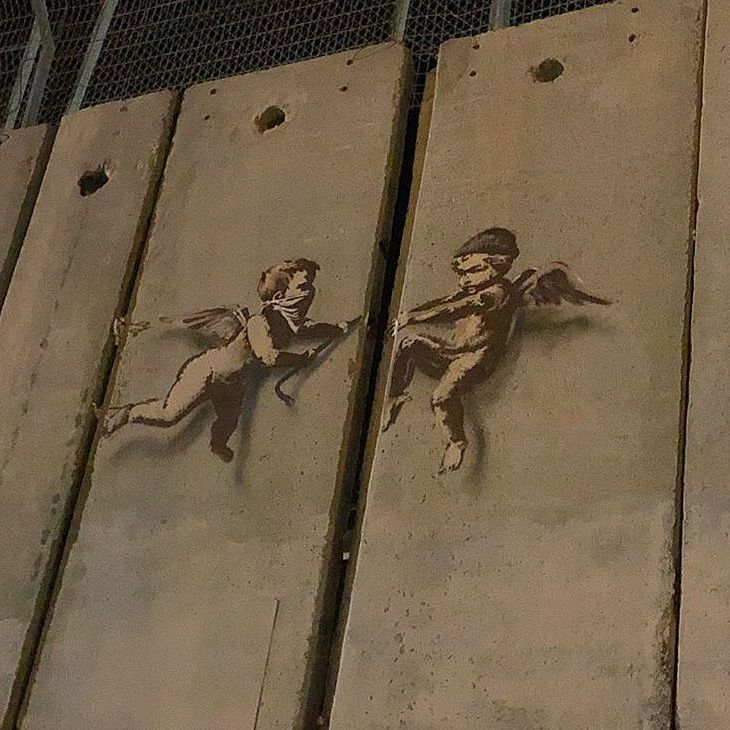 Banksy is back at his “Walled Off Hotel” to celebrate his Christmas with his latest festive spectacular called “The Alternativity” which opens today December 3rd at 5PM in front of the hotel. 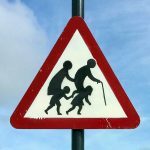 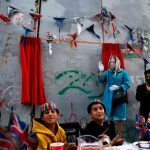 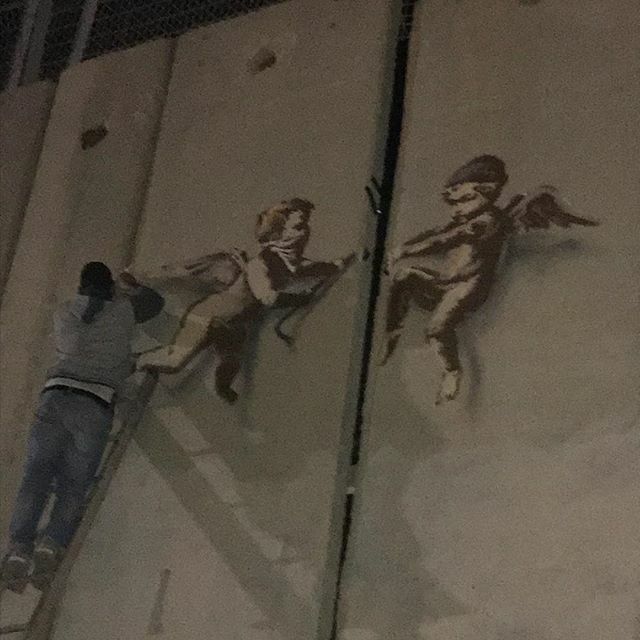 On top of a play with Danny Boyle and several other surprises, the anonymous British street artist just unveiled two brand new street pieces located around his infamous hotel in the city of Bethlehem in Palestine. 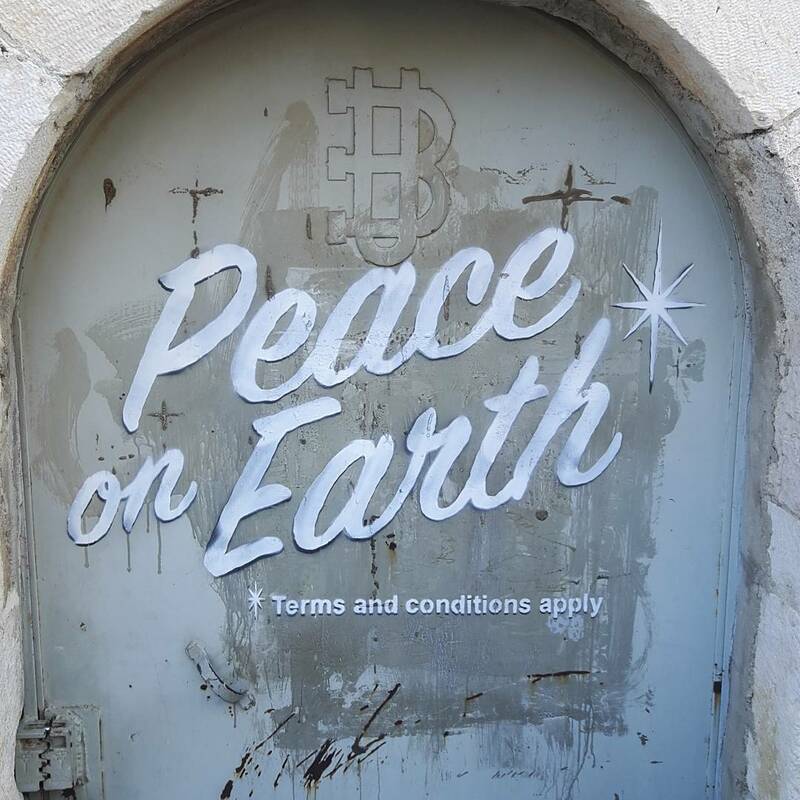 The first piece “Peace On Earth” is a text based work which reads “Terms And Conditions Apply”, it can be found in front of the Milk Groto Church. 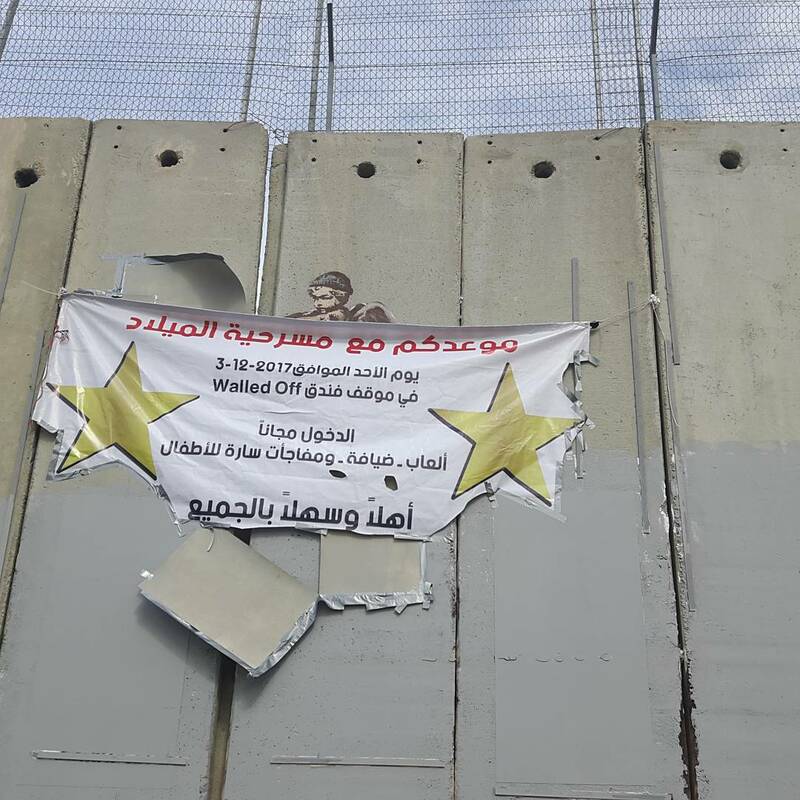 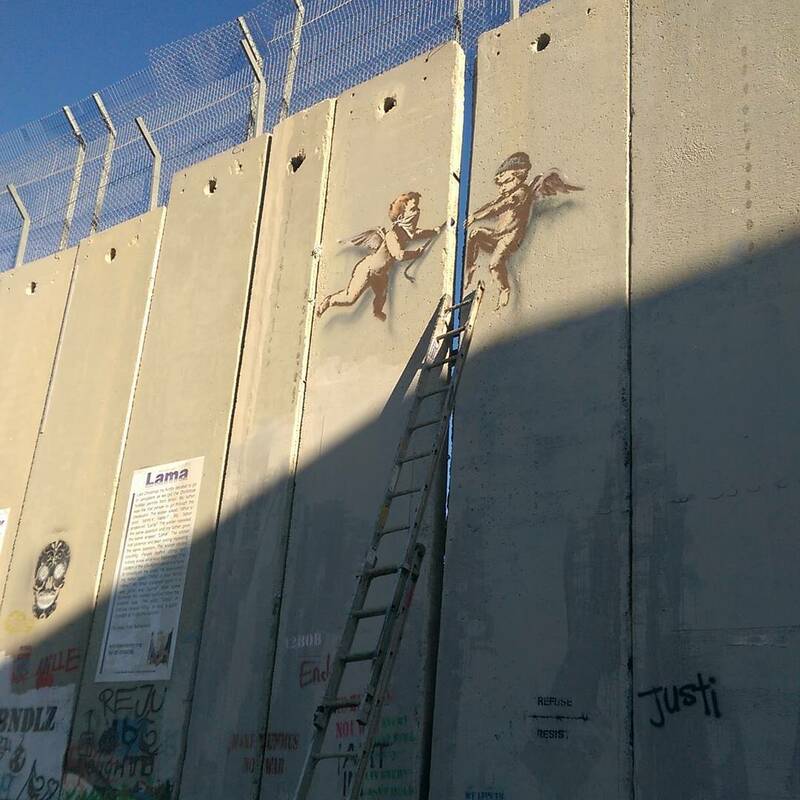 The second piece shows two stenciled angels, equipped with a crowbar and trying to breakthrough the separation wall. 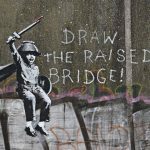 As usual with Banksy, its a perfect placement for this cute and cheeky artwork. 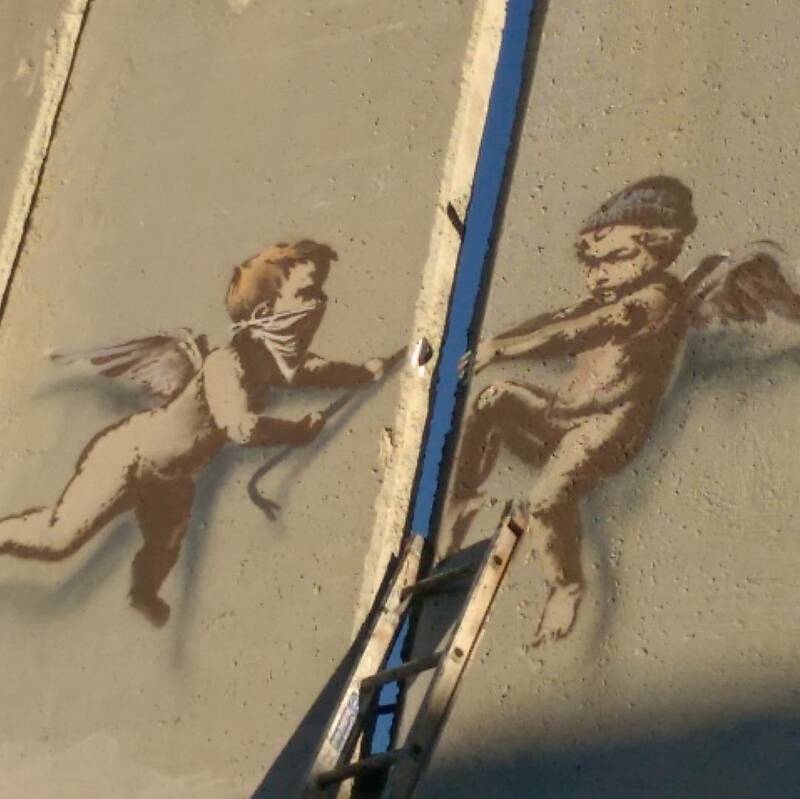 The piece was supposedly painted a few days / weeks ago and hidden in plain sight with a banner announcing the event. 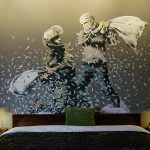 Take a look at more images after the break and keep checking back with us throughout the day for perhaps more updates from Banksy and the Walled Off Hotel.